Printer Tips & Tricks – Reset Counter All Printers Resources from WWW must be free! Reset Ink level on HP Printer that using cartdiges HP 21 and HP 22. Remove cartridge from your printer. Place a piece of tape over the top left contact as shown in red on the picture to the right. and then place cartridge back into printer. Once the second alignment page has been printed remove cartridge from printer. Remove tape pieces from cartridge contacts Make sure there is no residual adhesive on cartridge contacts. Place cartridge into printer. Cartridge should now read full. Place a piece of tape over the top left contact as shown in red on the picture to the right. With the tape covering the contact place cartridge back into printer. Once an alignment page has been printed remove cartridge from printer. Place a piece of tape over the second contact shown in red. Make sure there is no residual adhesive on cartridge contacts. I really loved this post. You write about this topic very well. You can save up to 60% off the soaring cost of ink-jet and toner cartridges daily when you have your empty ink-jet cartridges professionally refilled at a convenient ink-jet refill service center. I don’t know about anyone else but I can definitely think of better ways to spend money than on expensive, name-brand ink-jet and toner cartridges! Just bring your empty ink-jet cartridges to a refill service center and they will be expertly refilled, often while you wait. You won’t sacrifice quality either. Not only is it excellent for the environment, it is also great for your wallet! Will this method work on an HP 60 cartridge? where is the cancel button of Hp F1480? is there a software for it ? How to reset ink level in Hp deskjet 1050 J410 all in one which uses Hp 802 small black and colored cartridges. Any method for ink level reset which let me use refilled cartridges. Or suggest printer from Hp which have the advantage of refilling cartridges with no ink level problem. I will be highly thankful to you. You must to recognize what problem, that’s excess of page counter or bad cartridge. But first, you can tape your cartridge as upper instruction, all is the same. Print out nothing! What is in your case? Your cartridge’s may be clog. You can try to soak print header to a mix of Alcohol 90 degree and water with rate 50/50 in 15 min. Good luck! Thanks-a-million !! I have an AIO F370 and your trick by simply pressing the power and cancel button works on mine too. Great tip, you made my day !! is there any Software to reset low ink level? 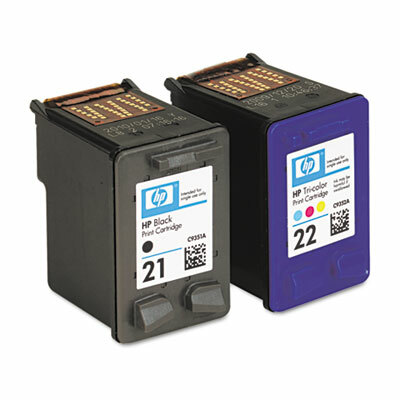 HP PSC 1410 uses HP 21, 22 cartridge. We have updated new post to reset counter for your printer. Have fun! I cannot get this to work on a HP-4300 model any sugestions ? With 21/27 cartridge, you have to do three steps. Keep try, this method has been tested success!